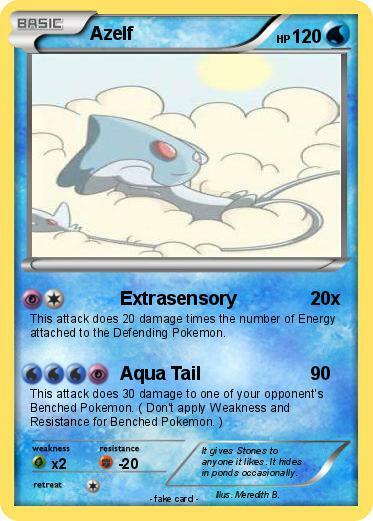 This attack does 20 damage times the number of Energy attached to the Defending Pokemon. Comments : It gives Stones to anyone it likes. It hides in ponds occasionally.